There are 5 main parts to a tube fitting connection: Nut, back ferrule, front ferrule, and fitting body are all parts that are manufactured to exacting tolerances and standards at Swagelok. The fifth component is the tubing itself. 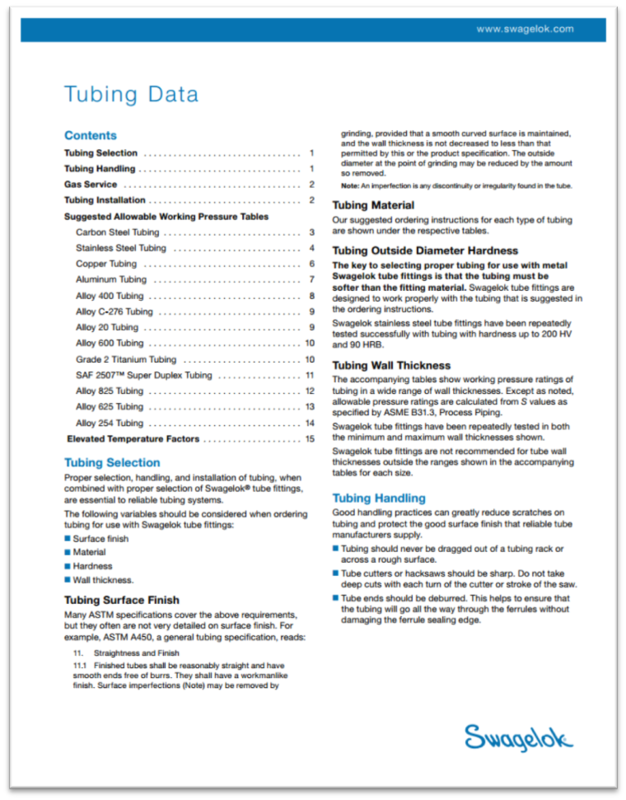 Fill the form to get your copy of Swagelok's Tubing Data in your inbox, together with links to related information on Swagelok tubing. In a hurry or have a question? Please click here to get in touch - we respond fast! Or call 780-437-0640.